This is a store sample and in great condition!!! 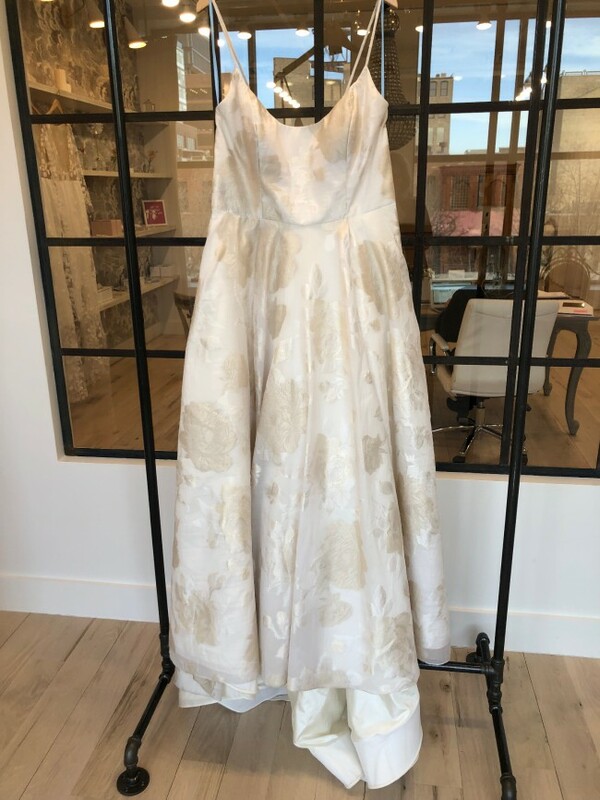 From Rebecca Schoneveld's website: We simply adore this lightweight ballgown in Spanish silk and cotton floral jacquard. The ballerina scoop neck bustier is incredibly flattering on just about every figure! Oh and hey the skirt has pockets. Because We. Love. Pockets! The luxurious fabric is so memorable and of heirloom quality. We used lightweight linings to ensure you feel comfortable all through your celebration!